After the death of his father, Little Tree begins to learn how to cope with his feelings and start the healing process. With the help and support of his family and friends, Little Tree learns to cope by discovering what is really important in life, and that his fathers memory will carry on. In this book, a lovable cast of trees, offers a warm approach to the difficult subject of death and dying. 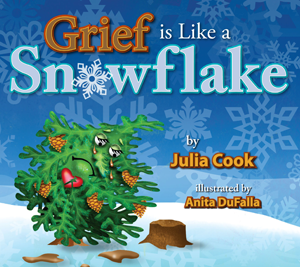 As companion to the storybook, the Grief is Like a Snowflake Activity & Idea Book offers grief facilitators, educators, counselors, and parents hands on activities that explore the grieving process.